Around these parts, John Bushby is a legend. Not only is he the half the team behind the superb dark electro infused electronics label Digital Distortions, or equally half the team behind the techno machinations of the Limetree Projects; he is a superb DJ and mix programmer in his own right. 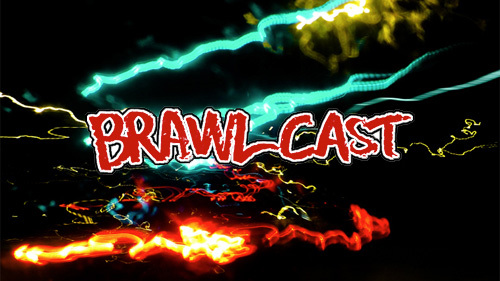 Diverse but always with a focused, accomplished feel as Synergising Backward Outflow, the 47th mix for his labels spin-off mix series BRAWLcast will amply demonstrate. With work from the Russian Partyson, and Moderat, into Gyu remixing Ekaros’s Dust. I don’t think that ever officially came out but worth a hunt thou, it’s a great remix. Full Spektrum, Skream, Buckfunk 3000, another ]dD[ signed artist Patscan, through Planet Mu’s Hawerchuk and Black Lantern’s Morphamash. We’re also treated to a new Mad-Tek remix from Dexorcist (which I hope comes out soon), Cursor Miner, HecQ remixing Buckfunk 3000 as the mix builds into a heavy mutant bass finish with Broken Note vs. Machine Code before ending on Excision and Datasik.